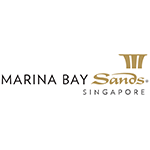 Operating a 24/7 contact centre has meant that over the last year, Marina Bay Sands has embarked on a digital transformation journey to embed more AI and RPA functions while still complimenting current functions and staff capabilities. Such automated functions has not only allowed for minimised entry errors, but has meant that the organisation can now focus on fronting customer interactions and activities for enhanced customer services. As a key speaker for CCW Asia and finalist for the Best Contact Centre Culture in 2018 at CCW Las Vegas, Jeremy will share the key strategies for successfully marrying RPA and contact centre agents within your organisation. Whether your organisation is single, multi- or omnichannel, getting back to the basics is essential for creating a seamless experience. What insights do you need to determine which channels should be optimised, or which systems or technology you should prioritise? How do you disintegrate siloes to manage channel shifts and workflow more efficiently? This workshop will explore how to establish greater digital innovation to consolidate multiple customer contact channels into one customer experience platform.